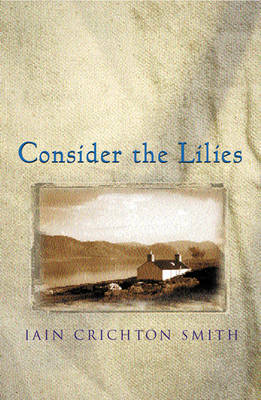 Now considered a modern classic, CONSIDER THE LILIES focuses on the eviction of an old woman from her croft. The Highland Clearances, the eviction of crofters from their homes between 1792 and the 1850s, was one of the cruellest episodes in Scotland's history. In CONSIDER THE LILIES Iain Crichton Smith captures its impact through the thoughts and memories of an old woman who has lived all her life within the narrow confines of her community. Alone and bewildered by the demands of the factor, Patrick Sellar, she approaches the minister for help, only to have her faith shattered by his hypocrisy. She finds comfort, however, from a surprising source: Donald Macleod, an imaginative and self-educated man who has been ostracised by his neighbours, not least by Mrs Scott herself, on account of his atheism. Through him and through the circumstances forced upon her, the old woman achieves new strength. Written with compassion, in spare, simple prose, Consider the Lilies is a moving testament to the enduring qualities which enable the oppressed to triumph in defeat.